This workshop will introduce participants to the concepts and features of TACO ABB. The workshop will focus on the programming, simulation and control of ABB industrial robots directly with Grasshopper. Through the use of different offline and online programming techniques as well as “live” interaction with the robot movement and IOs, the participants will gain the knowledge for a wide range of robotic applications. 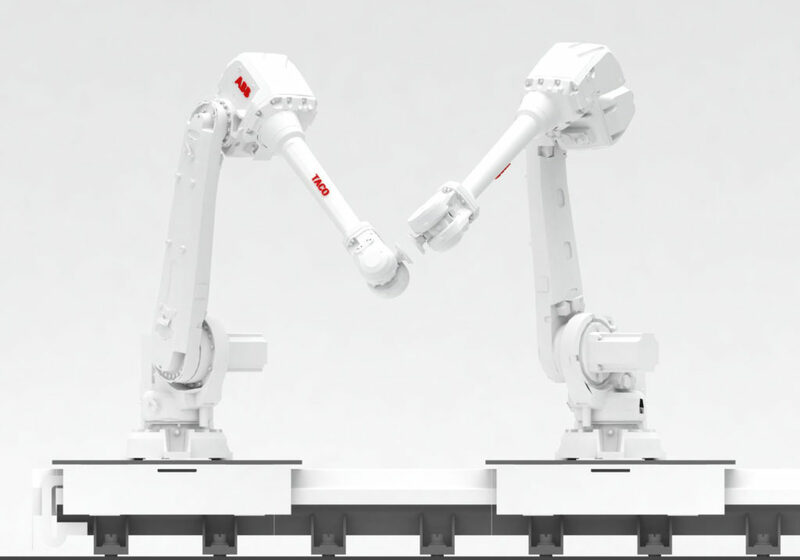 The aim is to get sophisticated skills, in order to improve or start the work with ABB robots. Participants will specifically learn about the basics of robot control, how to connect sensors, devices and Arduino to IOs, control of multi-robot setups (ABB Multi-move), external axes (tracks), as well as real time interaction with ABB robots and possible combinations with different plugins for Grasshopper. In this session, participants will learn smart and simple workflows, as well as real time control of ABB robots with TACO for ABB, using Rhinoceros and GrasshopperIt should be possible for all participants, once they have completed the workshop, to reproduce their own robot cells within the software, calibrate the environment, integrate signals, tools and sensors, and program the machines for any work the participant may require.